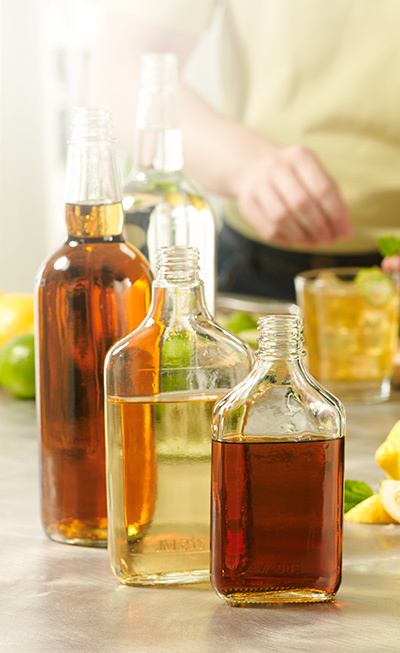 From classics to craft bottles, we offer 20 ready-made liquor bottle designs to make launching or renovating your product line easier! Our trained team members can guide you through each design and help find the one that best suits your brand and target market. Looking for a custom design? Our design team will bring your concept to life and walk you through the variety of shapes, colors, sprays, and other effects that can be added to the bottle. Start the conversation with one our talented industry experts. We have the know-how and the passion to not only be your go-to partner, but to also help elevate your business! © 2019 Anchor Glass Container Corporation | All rights reserved.